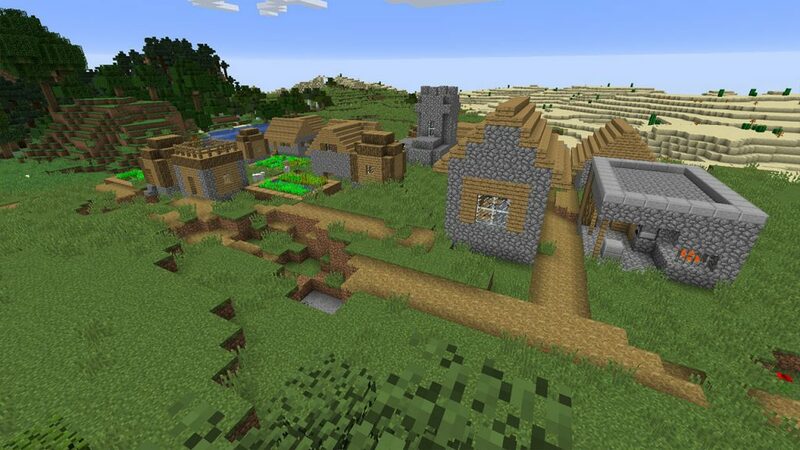 Starting your new Minecraft save in a village makes it that little bit easier and faster. You immediately have shelter, villages to trade with, food, light sources and most important, a chest inside the Blacksmith building. You’ll most commonly find food, armour and weapons in these chests, with the possibility of even finding diamonds. 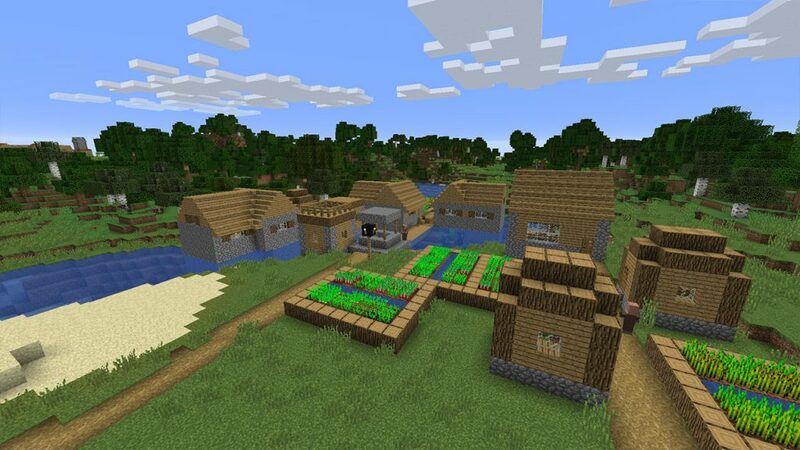 Villages have received many updates in the history of Minecraft, with new designs, buildings and themes constantly being added. We’re sure even more updates will come in the future making them much more lively and realistic. But for now, what we have is great. 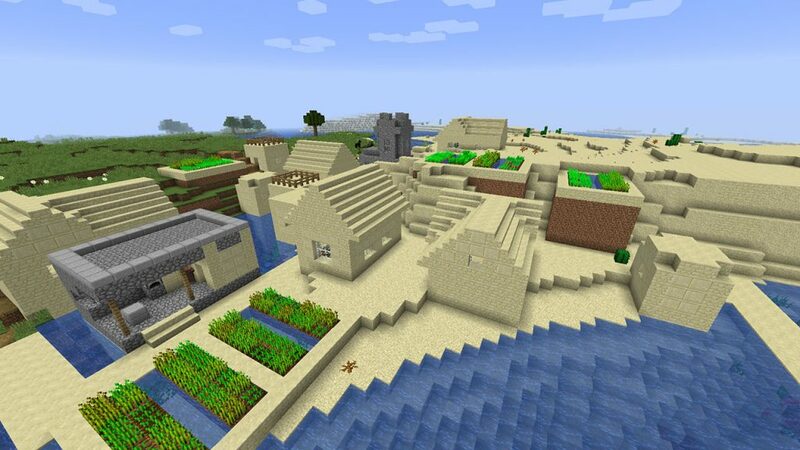 Below, you will find 10 of the Best Minecraft Seeds for Villages in Minecraft 1.13.2. All these seeds where tested on the latest version in 2019, with all the villages not being too far from the spawn point. If you like this type of content, make sure to check out more of our Minecraft guides, seeds and resource packs here. The list below is in no particular order. 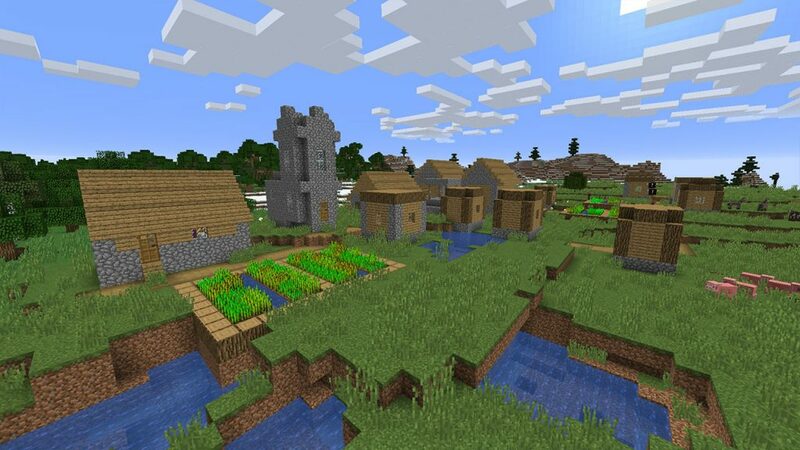 This village can be found by heading to the coordinates above. 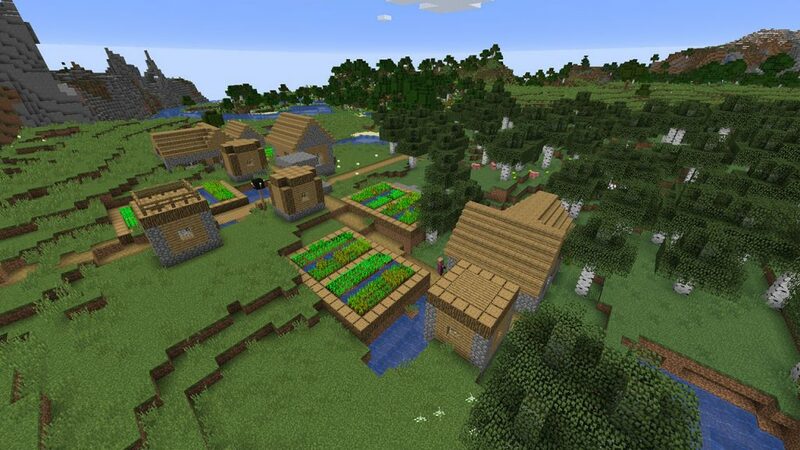 It’s a pretty standard village which is quite large in size, offering many crops and a blacksmith. Inside the blacksmith chest you will find Horse Armor, Iron Leggings and 3 Bread. A more hard-to find village are these ones, which are located in deserts. Although this one is located halfway in the desert and halfway in plains. Inside is blacksmith, where the chest will contain an iron ingot, an iron picaxe and iron chest armor piece. Another normal looking village is this one, except for the fact that one of the structures is submerged in a small pond. One of the farming plots is also elevated high up off the ground. Inside the blacksmith chest is 4 iron ingots, 4 gold ingots, 2 bread, 3 apples, an iron sword and horse armor. This is another village located in the plains. However, this one doesn’t have a blacksmith meaning that there is no chest with loot inside. Instead, there is a church, but this doesn’t contain any loot either of course. Otherwise, it’s a great place to rest and trade. 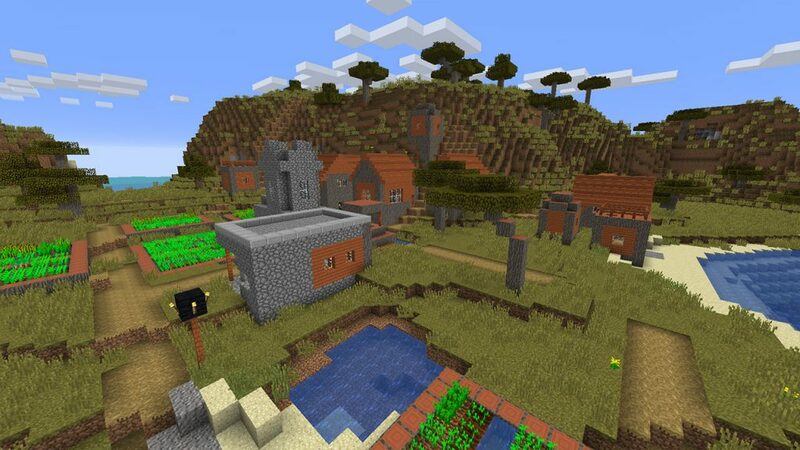 Now this Minecraft Village does have a church, but we also have a blacksmith again. Inside the chest, you will find 5 iron ingots, 4 apples, 2 bread, 1 iron sword, 1 saddle and a pair of iron boots. All the buildings for this village are located on one path giving it a main street feel. Another normal looking village is this one, which can be found on the edge of the desert. 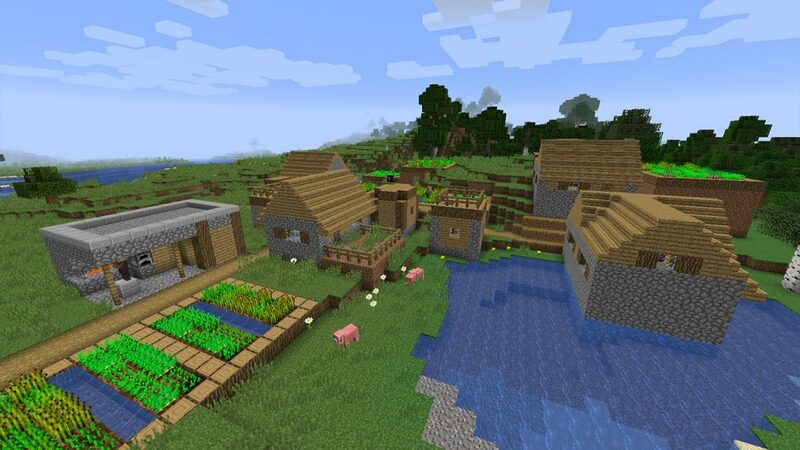 It has a lot of buildings including a church and blacksmith, with the blacksmiths chest containing an iron picaxe, iron leggings, a gold bar and an iron sword. This village which is located in the plains doesn’t have a blacksmith or church inside, leaving it with empty buildings and villagers. It’s a good place to spent the night or build from due to it having some flat land around. 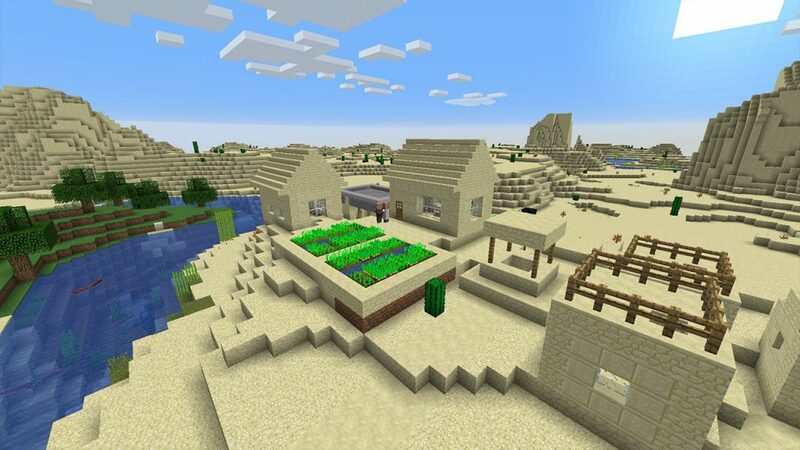 Another Desert Minecraft Village can be found at this seed, sitting not too far away from the spawn point. It’s bordering a lake making it a great spot for fishing, and has a blacksmiths where the chest contains 2 bread, 2 iron ingots, an iron helmet, iron chest and an iron sword. 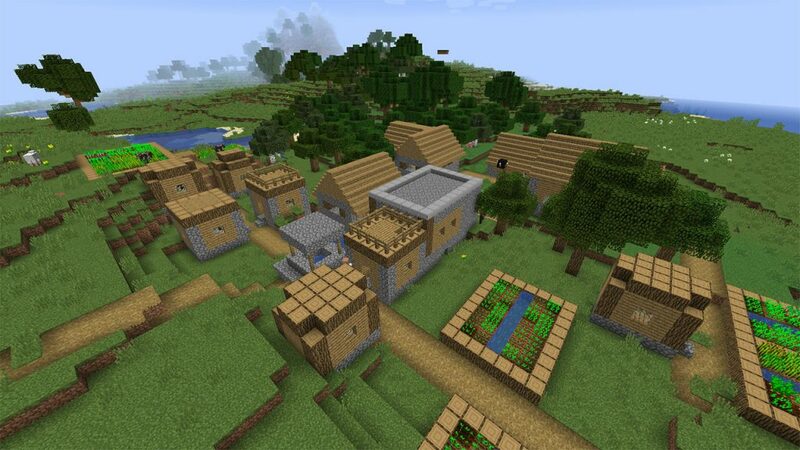 This village is quite interesting because it has spawned inside a river, minus some buildings which are on land. Meaning there are squids swimming around between buildings. Unfortunately though there is no blacksmith, meaning no chest containing loot. 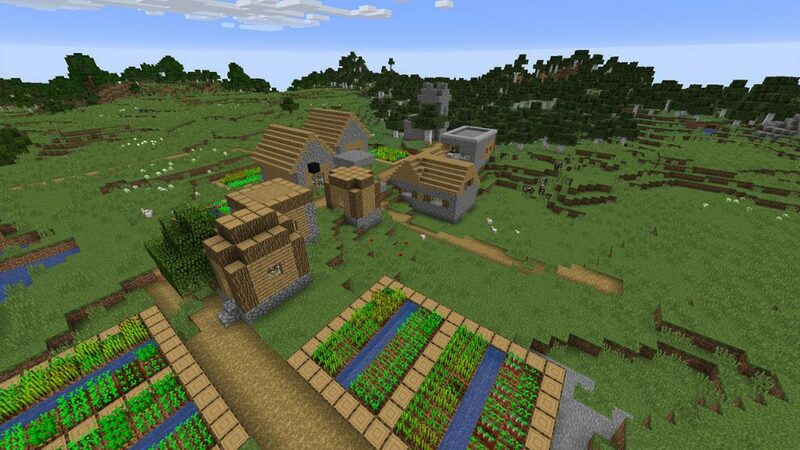 Another rare village type is the Acacia Village, which has a different design. This village in particular has many buildings, including a church and blacksmith. Inside the blacksmith chest, you will find 3 iron ingots, an iron picaxe, an iron sword, an iron helmet and an apple.